Tony brings over 25 years of medical sales experience, the last 18 in the Cardiovascular space, with a specific emphasis on new, emerging technologies. 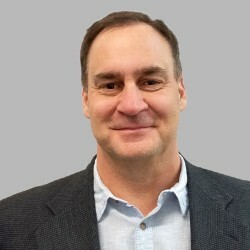 Prior to joining ClearFlow in 2015, Tony held Regional and Territory Sales Manager positions at n-Contact, On-X Life Technologies, AtriCure and U.S. Surgical. Tony has demonstrated consistent success working in the start-up environment, and brings a breadth of knowledge on how to move a product from infancy of use to broad market acceptance. Tony has spent his entire medical sales career in Houston, Texas and holds a Bachelors of Arts Degree from the University of Houston. 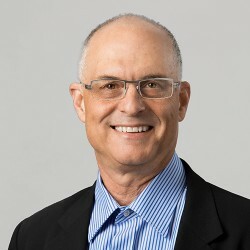 Al has over 25 years of experience in medical device manufacturing and operations in implantable and non-implantable devices, lasers and fiber optic delivery systems. He started his career in Quality Assurance in 1977 with Shiley Surgical Division (later Pfizer). Al has significant corporate experience in senior management operations in large, start-ups and small firms. Al consulted for the Federal Trade Commission (FTC) as Interim Trustee, Medtronic/Baxter (Avecor Blood Pump System technology transfer). 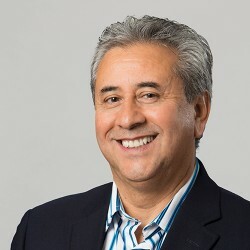 He served as a Board member for Cardiac Output Technologies, Inc. (formerly Polycomp Services) and as Managing Director of Polycomp Investment Group LLC. Al holds a Bachelor in Business Administration from the University of LaVerne and a two year certificate program in World Class Operations from the University of California Irvine (UCI). Dr. Gal has over 30 years of medical device experience as a practicing veterinarian, academician at Tufts University School of Medicine and subsequently in industry. Dov held R&D, clinical marketing and clinical affairs positions with increasing responsibilities in private start-up, and medium to large public medical device companies. 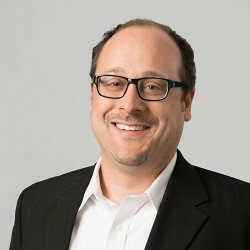 Most recently, Dov led the clinical organization for the Heart Valve Therapy business at Edwards Lifesciences, overseeing clinical trials of Class III implantable devices. Prior to Edwards Lifesciences, he led the clinical organization at Broncus Technologies, a start-up with an investigational, minimally invasive device-drug combination product for the treatment of patients with severe COPD. The system was evaluated in an international clinical trial under an IDE. Prior to Broncus, Dov was a director of clinical research at Medtronic Vascular responsible for the AAA stent graft product line. Dov holds a BSc. degree in biology from Tel Aviv University, Tel Aviv Israel, Doctor of Veterinary Medicine degree from Pisa University, Pisa Italy, and an MBA degree from Boston University, Boston, Massachusetts. Dov completed a cardiology research fellowship at Tufts University School of Medicine, Boston, Massachusetts. David Bigg has over 20 years of experience in U.S. and International Sales and Marketing for private and public companies. Mr. Bigg has worked in the anesthesia, vascular and cardiovascular clinical specialty areas. Mr. Bigg developed the sales and marketing strategy for the VasoNova intravascular catheter navigation technology and was instrumental in integrating the product line into the Teleflex sales structure after the acquisition. Mr. Bigg had global sales and marketing responsibilities for LMA, a leader in laryngeal masks (now a Teleflex company). Mr. Bigg was a practicing CRNA in a busy 10 OR Cardiothoracic unit before joining Draeger Medical as a key account manager working in the critical care markets. David completed his MBA at Exeter University in 2010. 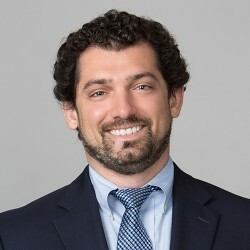 James Herlofsky, M.D. is a marketing professional who brings a unique clinical perspective to medical device marketing. 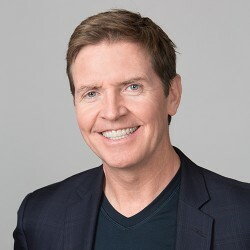 James received his Bachelors of Science degree in Psychology from Loyola Marymount University in Los Angeles, California before earning his M.D. from a U.S. accredited medical school in San Jose, Costa Rica. After returning to his hometown of Los Angeles, James served as the Practice Manager for a thriving West L.A.-based, private medical practice and simultaneously held the position of Administrator of an ambulatory surgical center. James speaks fluent Spanish in addition to his native English, has led international clinical and sales training sessions and is a vital asset to the management team with his valuable clinical knowledge. 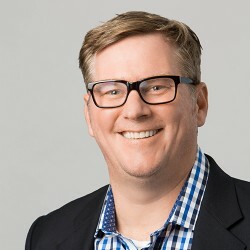 Both his clinical background and medical practice management experience have provided James with an extensive variety of viewpoints within the healthcare industry that allow for the unique perspective he brings to Medical Device marketing. Doug Bardwell, M.B.A, B.S.N., R.N. Along with his more than 30 years’ experience in clinical nursing and medical sales, Doug brings his passion for education to his role at ClearFlow. After earning a BA from the University of Missouri, Columbia, he spent six years at Dynaflex Systems, Inc. as a sales manager before going back to earn a BSN in Nursing from Saint Luke’s College of Health Sciences. He later earned an MBA from Baker University in Baldwin City, KS, where he graduated at the top of his class. Doug’s nursing experience includes working as a Cardiovascular Intensive Care Unit (CVICU) Nurse at Saint Luke’s Hospital of Kansas City, and a Med-Surg Nurse at the VA. He joined ClearFlow as a Clinical Specialist in December 2014 and was soon promoted. As Director of Clinical Education, Doug is responsible for domestic and international sales and clinical education/training, as well as managing a team of clinical specialists. Ken is responsible for product development, engineering and IP management. He has 14 years of experience in product development and design of medical devices. 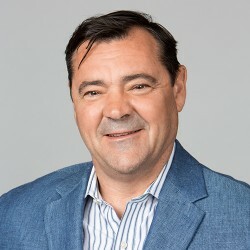 Most recently he was Director of Sensor Development at GluMetrics, Inc., a venture backed company that developed a novel blood–based sensor for real-time measurement of glucose. Previously he led an engineering team at Medical Components (Medcomp) that developed and commercialized numerous FDA class II and III vascular devices. He was also Principal Engineer at Martech Medical, where he worked with startups and Fortune 500 companies to manufacture numerous medical devices and components. His experience spans idea generation, prototyping, manufacturing, design validation and process validation. He is an inventor on eight issued US utility patents and numerous design patents. 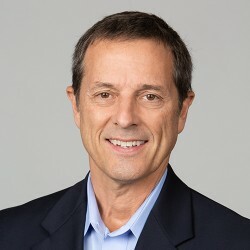 Prior to his career in device development, he conducted biomechanics research at Thomas Jefferson University where he developed models for analyzing human movement. He holds a MS degree in Biomedical Engineering from Drexel University and a BS in Mechanical Engineering from State University of NY at Buffalo. As Director of Finance, Hannah oversees all accounting and finance functions. Hannah is a Certified Public Accountant with a background in the assurance practice at PricewaterhouseCoopers. During her tenure with PricewaterhouseCoopers, Hannah played a key role in developing processes and strategies to have effective and efficient audit engagements. 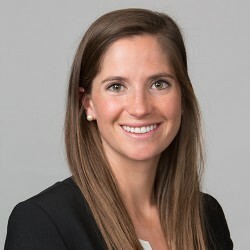 Hannah worked directly with firm partners and audit clients to plan and execute quarterly reviews and year-end audits in conjunction with year-round SEC filings (10-Q and 10-K) and government compliance audit deliverables. There she gained extensive experience auditing a wide array of industries ranging from healthcare to large cap manufacturing companies, both private and multinational publicly traded companies. 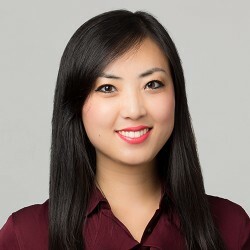 She earned her bachelor’s degree in Accounting and Finance from the University of Delaware and is a member of the American Institute of CPAs. Hannah has remained consistently involved in the community, most recently serving as Treasurer on the Board of Girls on the Run – San Diego and as a volunteer mentor for Junior Achievement, educating youth in low income areas on financial literacy and fiscal responsibility. 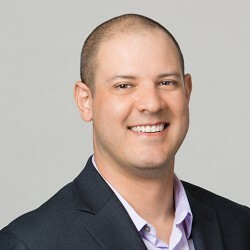 Chase Phillips has worked at multiple healthcare startups on both the practice and technology side, and brings five years of analytical experience to the team. He received his Bachelors of Science in Business Administration from the University of Arkansas, and his Masters of Business Administration from the Sloan School of Management at the Massachusetts Institute of Technology. Prior to joining ClearFlow, Chase was a member of the data analytics team at DocuTAP, an urgent care-focused EMR company, where he used his skills with data modeling to drive both clinical and financial results. As Director of Sales Operations, Chase helps drive growth strategy and strategic targeting. Fiona started her career in the medical device industry working for GE Healthcare in China as an Accountant. After spending two years with GE Healthcare she came to the U.S. to pursue her master’s degree. Upon receiving her master’s, Fiona worked for InTouch Health, a leading telemedicine provider which manufactures telemedicine robots and provides a cloud-based telehealth network. Fiona joined ClearFlow in May 2015 as a Finance Specialist reporting to the VP of Finance. During this time, she demonstrated her financial skills and management maturity. Fiona was promoted to Financial Controller in July 2017. She is responsible for all aspects of finance and administration for the company, including budgeting, planning, forecasting, financial reporting, sales analytics and risk management. She is fluent in English and Mandarin Chinese. Fiona holds a master’s degree in Business Economics from University of California, Santa Barbara and an Accounting Certificate from University of California, Los Angeles.